"All the people are friendly!" Tyler TX is America's rose capital, home of the annual Texas rose festival and one of livability.com Top 10 garden inspired communities. Located 95 miles east of Dallas, Tyler Texas is the advanced manufacturing, Health care and retail center of East Texas, as well as Texas' first certified Retirement City, The city has an impressive youth recreation program ballet, symphony orchestras, and art museums. 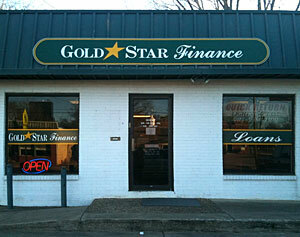 Gold Star Finance is proud to be a part of the Tyler community, proving short term consumer loans within the Tyler TX area. Stop by location on West Front Street so we can get to know you better. You will always be treated with courtesy and respect.